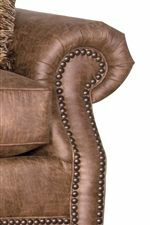 Sit back and relax with the Rolled Arm Chair. 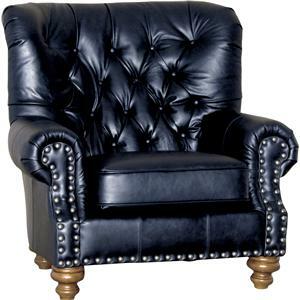 The chair has a classic look with a traditional design. 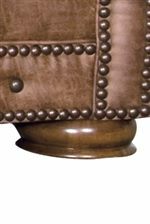 Rolled arms, exposed bun feet, welt cording and decorative nailhead trim make this a timeless piece that will be with you for years to come. 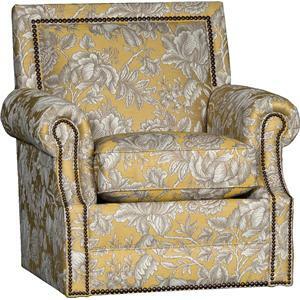 The 2900 Rolled Arm Chair by Mayo at Olinde's Furniture in the Baton Rouge and Lafayette, Louisiana area. Product availability may vary. Contact us for the most current availability on this product.